Cutting for Windows 10 - an automated application that allows for optimal cutting of any material. Integrated module for counting residues, cutting length and area. The software is a versatile tool for a variety of cutting. Work process parameters are set by entering values in a simple form. For optimal separation of the working surface into parts of the required shape and size, you need to press one button. If the result is partially not satisfactory, you can make adjustments on the fly. There is a function to save templates. There is a visualization of the texture of the material. You can free download Cutting official latest version for Windows 10 in English. 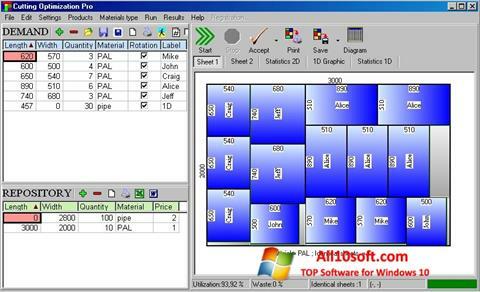 Publisher Software: Cutting Optimization Inc.